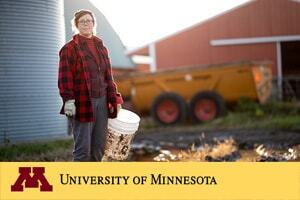 “Staying resilient in farm country” was posted on the University of Minnesota website February 13, 2019 as part of a larger series developed by the School of Public Health. Tackling the issues of stress, depression, anxiety, etc. cannot be done alone. The University of Minnesota has recognized this serious time in agriculture and is bringing awareness to a larger population on the website. Being part of the University of Minnesota brings value to our work in a number of ways – from building external partnerships to important occupational research to practical educational outreach. Thanks to UMN for helping us reach others with timely information for farmers, farm families and workers.